vulne pro: Terran Trade Authority, back again 100 years later kids! Terran Trade Authority, back again 100 years later kids! And, booyaa! 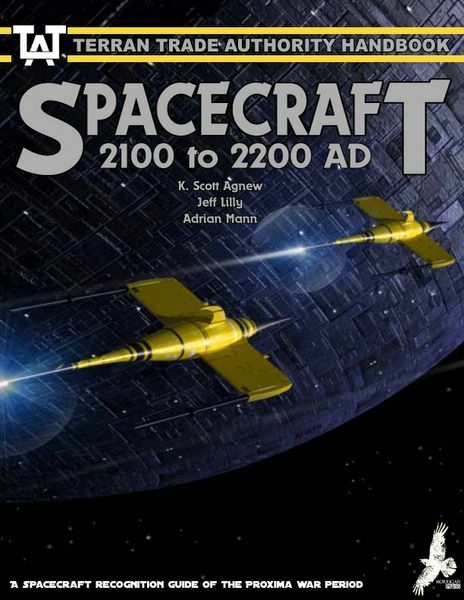 Here we have Morrigan Press’s mockup cover for the new Terran Trade Authority Spacecraft 2100 to 2200 AD (note dates moved a century ahead. Where’s my flying car dammit? 2001 I mock you). Very impressive! It retains the same exact feel that the other book covers have. Thumbs up! Good to see these books heading back ! I remember buying these in the late 70's early 80's,I bought the Spacebase 2000 book last summer whilst on holiday from a great 2nd hand bookstore in Alnwick in Northumberland,UK !